Circuit training class is held twice weekly at the Skwah’s main hall. This is a full-body workout, with focus on the core. It is open to all levels of ability and all ages. Modifications or advanced variations of each exercise are always demonstrated. Classes consist of 10 workout stations with one minute duration at each. The stations are done 3x through. Each class starts with a warm-up and ends with a stretching cool-down. The full class is 1 hour in duration. 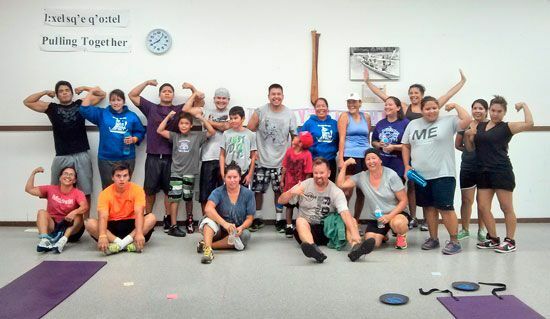 The class is taught by one of Skwah’s community members Kaila Mussell, a nationally certified personal trainer. Times: Mondays and Wednesdays at 7:00 pm unless otherwise posted.